When the finals come around, we know it’s the best of the best in action and every game counts for plenty. 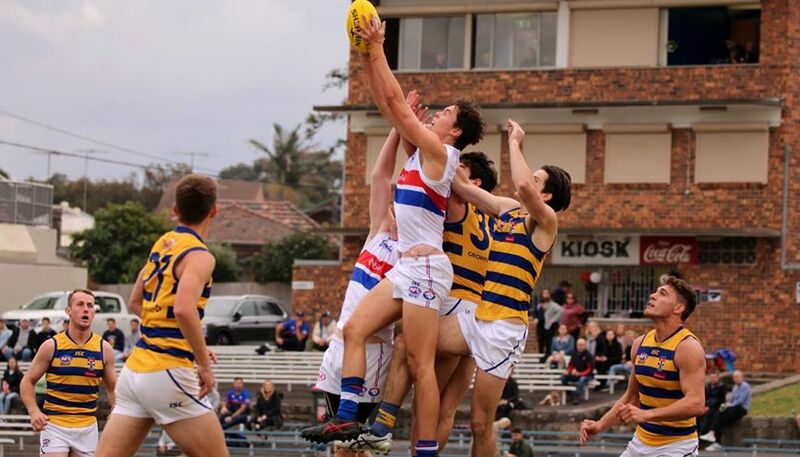 Over the weekend North Shore – as Minor Premiers – enjoyed the week off, while four teams were in action in two high-stakes clashes. 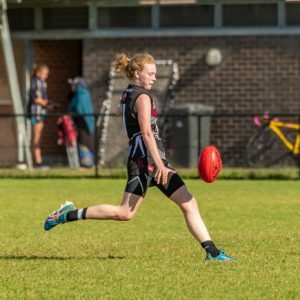 Both were played on Sunday afternoon, and by the end of the day UNSW Eastern Suburbs were within a game of the Grand Final and East Coast’s season was over. Henson Park was the venue for the Qualifying Final – a University derby where UNSW Eastern Surburbs took on Sydney University. It wasn’t sudden death, but for the winner there was the chance to play for a spot in the Grand Final. It would be a cracking contest that would be up for grabs until the final minutes. Both games between the two clubs during the regular season had been decided by less than a kick, and there didn’t look to be much in this game during the first quarter. It was tight and tough, plenty of close checking and some heavy tackles between two sides relishing the contest and showing plenty of fight. The Bulldogs had the slightest of edges, two goals to one for the quarter, seeing them lead by six points at the first change. An enthralling contest was taking shape as the second quarter unfolded. The Students flirted with the lead, only for the Bulldogs to find the answering goals. Around the ground were the odd act of individual brilliance, but no-one could find a way to break the game open. The Students were taking the game up to the Bulldogs, and many of the stats would run their way during the quarter. But the scoreboard would show three goals apiece, and a three-point lead to UNSW Eastern Suburbs as the teams returned to the rooms at half-time. It was goal for goal, an arm-wrestle, where the decisive edge would be elusive. When the Bulldogs attempted to make a break, the Students would find a way to peg them back. When the Students took the lead, the Bulldogs would find a way to restore their advantage. The Students had the better of possession, more inside 50s and more scoring shots. But the Bulldogs were more efficient with the use of their lesser number of chances. Each team would end up with three goals from an entertaining quarter. The Bulldogs had scored one more goal overall, but scores were level at the last change. The faithful from both clubs knew they were watching a fascinating contest, and there were no shortage of well-wishers listening in as the coaches addressed their charges on the field during the break. The message was simple, that this is the time to stand up and win the game, and as it had been all day, it was still goal for goal. The game was in the balance until the final minutes, a contest of fluctuating fortunes and momentum swings. But in the final moments, when tired bodies were willing themselves on and adrenaline was spurring them to attempt the decisive move, it was the Bulldogs who were able to find the way to cross the finish line. A late surge gave the Bulldogs a run of five goals to three, and a narrow 14-point win. Bulldog mentor, Steven Pollock led from the front to finish with four goals, while James Pascoe also drew twin flags from the goal umpires four times. 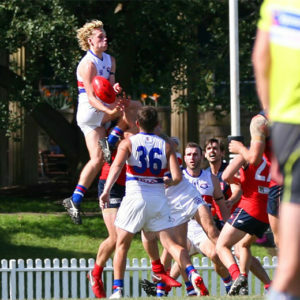 Around the ground, plenty of possessions to Matt Rawlinson, Harrison Collins and Brandon Jack were crucial in getting the Bulldogs over the line. It had been an absorbing contest, but in the end, the Bulldogs managed to find a way to get it done. The Bulldogs have a date with North Shore next week, playing off to be first to the Grand Final. It won’t be easy, but they’ve beaten the Bombers once already this season. Monty Krochmal, David Johnson and Tim Cordner were best for the Students. They had put up a good contest and took it up to the Bulldogs, but fell just short. Despite this result, it’s not over for Sydney University. The advantage of finishing in the top three is that they get another shot. They get a crack at Manly next week, a team they’ve already beaten twice this year. SYDNEY UNIVERSITY GOALS – W Stratford 3, M Powys 2, D Johnson 2, M Krochmal, M Nettheim, M Picken. Manly took on East Coast in a sudden-death Elimination Final at Blacktown on Sunday. The stakes were high, the desperation even higher. It was a game more noted for its intensity than the skill, and a scrap for much of the afternoon. As the game started, the dark clouds were rolling in and the rain started midway through the first quarter. Not particularly heavy, but enough to make the ball hard to get a grip on. On the field, the bumps were hard and clean possessions were hard to get. The Wolves made the early attacking, having the ball in their forward-50 for much of the early exchanges. 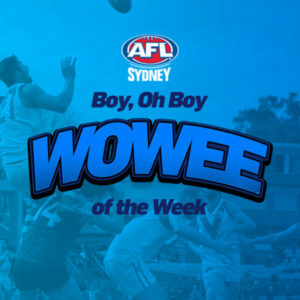 As the quarter drew on, the Eagles would make the Wolves pay for their inaccuracy and turnovers in the forward line as they would grab two late goals against the run of play to lead by eight points at the first change. It was two goals apiece in the second quarter. The Eagles were looking to establish a break, but for every action they would make, there was an equal and opposite reaction by the Wolves. Both sides were defensively minded, preventing the opposition from finding room to move. The outside runners were starved of possession, while this was a game for the determined blockers as the pressure continued to build. The Eagles were 10 points to the good at the long break – not a big margin, but it was looking a handy lead in the context of the contest that was unfolding. The lights were in full effect by the third term, the yellow ball hard to control as the rain got a bit heavier. Both sides were scrapping and fumbling, looking to knock the ball to an advantage that wasn’t there. Packs formed around every possession, players denied the room and time to move. The tension was building, the pressure relentless. It wasn’t pretty to watch, and certainly wasn’t a quarter of footy for the connoisseur of the aesthetic. Two teams high on desperation but struggling to execute the game plan, an old-fashioned scrap. 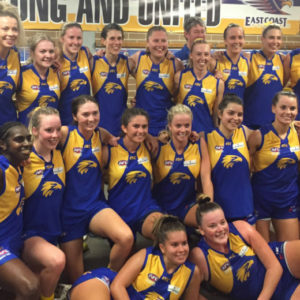 Neither team would penetrate the big sticks in the third quarter, the Eagles clinging to a narrow seven-point advantage at three quarter time. The game was there to be won. It was up to the team that could stand and deliver. The game had been a slog, and it was time for the match-winner to step up. The time had come, and it was the Wolves who would rise to the occasion. The Eagles were unable to muster a score in the final term, rarely getting anywhere near their forward-50. The Wolves were controlling the contest, keeping the ball locked inside their attacking zone for much of the quarter. The accuracy wasn’t there, and the Wolves would only manage 2.6 for the quarter. But that was enough. The 11-point win wasn’t one for the classics, but for the Wolves, it was a valuable result. They won ugly, but they won and in the finals, that’s what matters. Jordan Weir, Alex Fraser and Gareth Benbow were instrumental in getting Manly over the line, and they live to fight another day. The Eagles were well served by the efforts of Lewis Walters, Eugene Kruger and Brandon Clark. But in the end, they just couldn’t get the job done when they needed to. To only manage one behind in the second half was a disappointing fade out after leading for most of the day. It had been a moderately successful season for the Eagles, claiming some handy scalps along the way with 11 wins in the regular season. The best defensive record in the league, conceding less points in the regular season than anyone else, including North Shore. But too often they struggled to post a winning score and that would again be the case in this final. With the loss, their 2018 season comes to an end, and the countdown to a fresh start in 2019 is under way. The finals action continues next weekend with games on both days at Blacktown. On Saturday, a rested North Shore takes on UNSW Eastern Suburbs, and for the winner is a place in the Grand Final. Sunday is a sudden-death encounter as Sydney University play Manly in a contest from which only one team will survive.